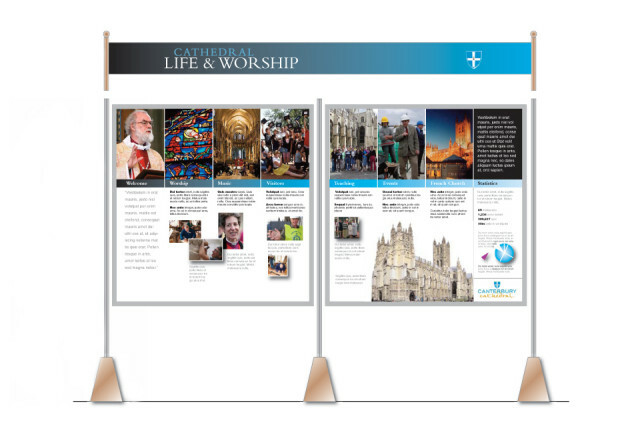 Canterbury Cathedral approached us to ask for assistance with a display graphics project in 2009. 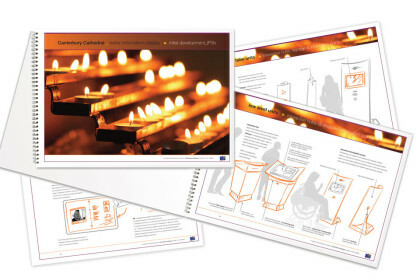 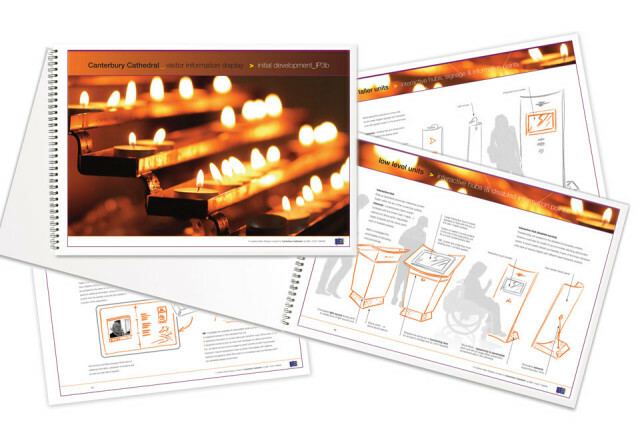 Our initial proposals included multi-lingual, interactive, digital display hubs alongside traditional print collateral for a more engaging experience. Unfortunately, part way through the development of this project, urgent building maintenance work was required and therefore the plans and budget were scaled back and the interactive digital hubs never came to fruition. 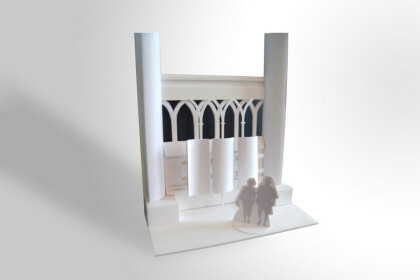 However, within the revised budget we were able to re-use their current display stand and create a series of informative display graphics for use in the south aisle, which are still in use today.